A Muslim was allegedly thrashed and forced to eat pork for selling beef in Assam's Biswanath district on Sunday. 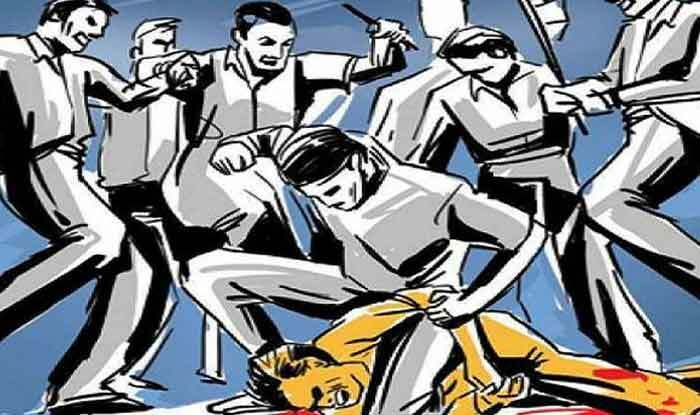 New Delhi: A Muslim resident of Assam’s Biswanath district was on Sunday abused and heckled by a mob for allegedly selling beef. As per reports, the man identified as Shaukat Ali was forced to eat pork as punishment by locals. The man was also thrashed on the road by the crowd. A purported video of the incident went viral on social media, where the 68-year-old man could be seen kneeling down in deep slush and begging to be let gone. According to reports, the irate mob was threatening the man and demanding to know why he was selling beef. Further, the mob asked Ali if he was a Bangladeshi. “Are you Bangladeshi? Is your name in the NRC [National Register of Citizens]?,” reports said. The Indian Express reported that the video was genuine. “The video appears to be genuine. We have received an FIR from a relative of Ali,” a police official told the newspaper. “We have taken all necessary precautionary steps and held meetings with local organisations to maintain peace and tolerance. There is absolutely no tension here. An inquiry into the incident is being held,” the cop added. A probe into the matter has been launched. Reports suggest that police have detained around 5 people in connection with the case so far.